Humility is an important human quality. 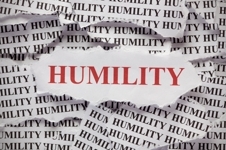 But did you know that humility can help you be a better leader, too? He found that, in the top-performing companies he identified, leaders had humility in abundance; they shared credit for success, and they were the first to accept blame for mistakes. He then highlighted many other qualities that we need to possess if we want to be truly “great” leaders.